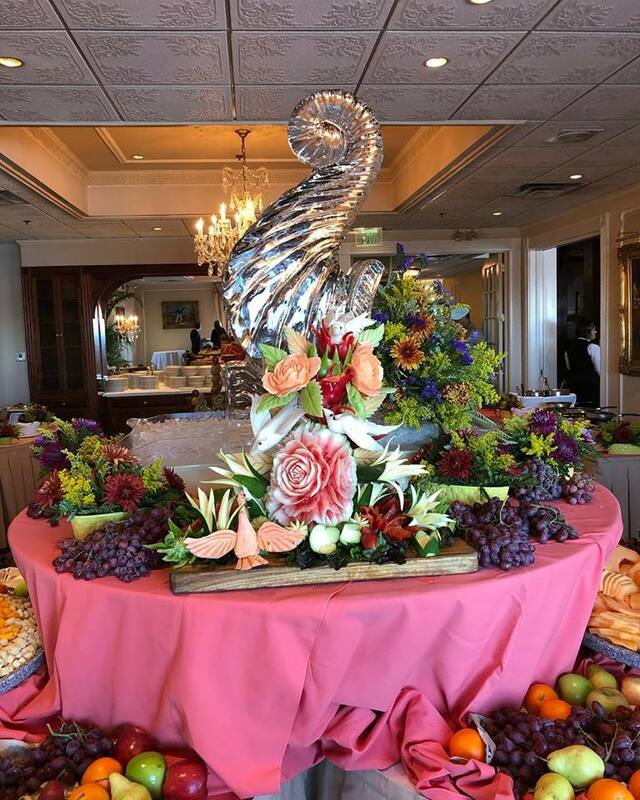 Whether you are celebrating a birthday or anniversary or just looking for an excuse to have a leisurely Sunday Brunch, The Molly Pitcher Inn is the perfect place to enjoy brunch. Their award winning brunch has something for everyone. They offer a crepe station, oysters and clams on the half shell, a variety of carved meats, and so much more! Take a look at the Brunch Menu here. Seatings for Sunday Brunch take place at 11 am and 1:30pm. Each person will recieve one complimentary brunch cocktail with brunch. The Molly Pitcher Inn famed Sunday Brunch has been the proud recipient of the Asbury Park Press, Readers’ Choice Award for Best Brunch since 1996. The Brunch is available Sundays from October through mid-June. On Easter, Mother’s Day, Father’s Day, Thanksgiving, and Christmas they offer a seasonal more extensive Brunch for guests to celebrate their special holidays, reservations are required. Overlooking the scenic Navesink River in Red Bank, stands Molly Pitcher Inn. Built in 1928, this historic landmark echoes charm and elegance. Upholding the legacy of gracious hospitality, Molly Pitcher Inn is dedicated to providing the highest level of elegant accommodations, fine dining and exceptional service. It is our goal to exceed the expectations of our guests by anticipating their needs, enlivening their senses and inspiring well being throughout their experience at the Inn. We are located within walking distance to downtown, where you will find unique restaurants and bars, boutique shopping and nationally recognized performances at the Count Basie Theater and the Two River Theater. This hotel features Fitness Room, Valet & Dry Cleaning Services, Complimentary Wi-Fi, and Room Service.